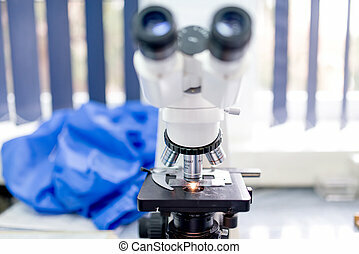 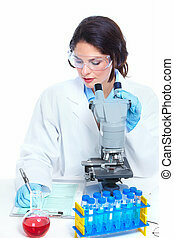 Health care research. 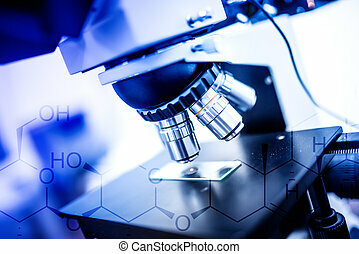 Health care research medical concept with a vitruvian human skeleton man and body with a group of floating red blood cells circulating in a vein. 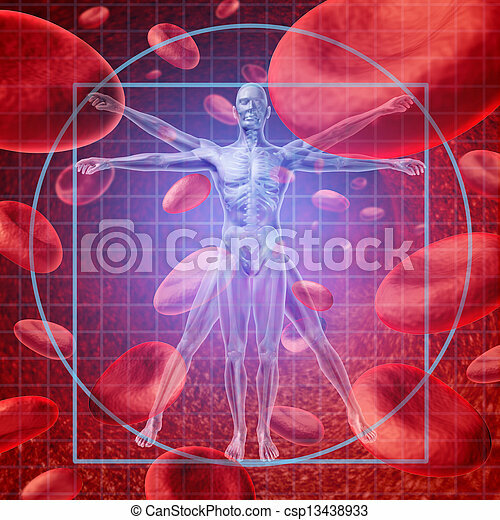 Health care research medical concept with a Vitruvian human skeleton man and body with a group of floating red blood cells circulating in a vein. 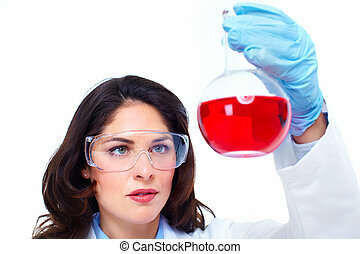 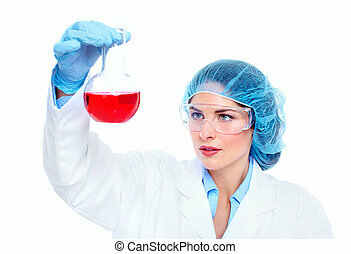 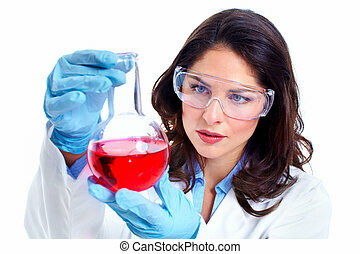 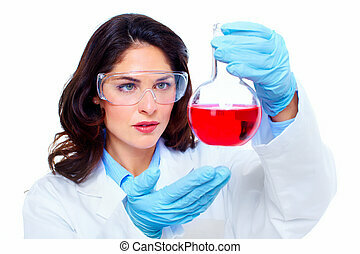 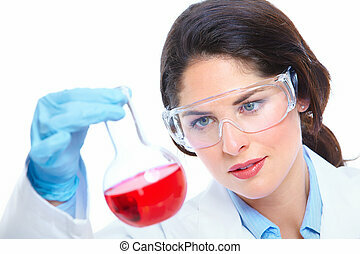 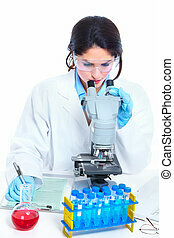 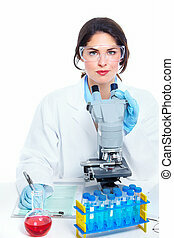 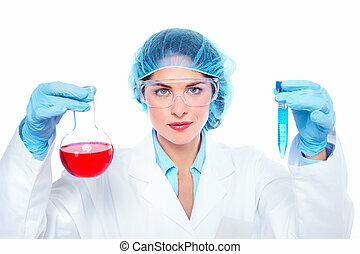 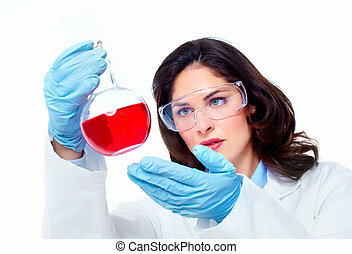 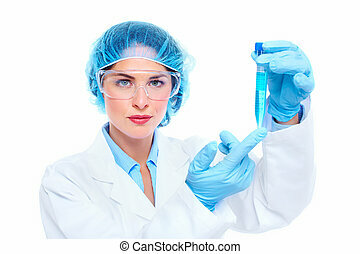 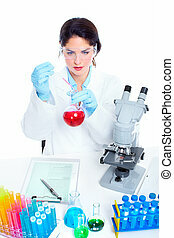 Scientific women in laboratory. 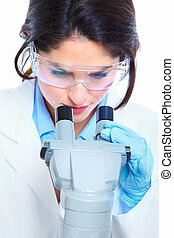 Health care research. 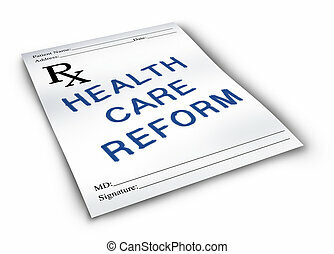 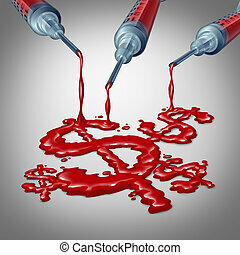 Health care costs concept or affordible hospital services and private clinic fees symbol as a group of syringe icons pouring human blood shaped as money signs. 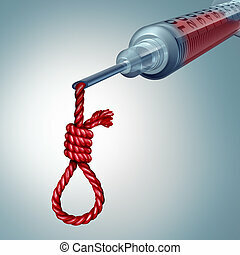 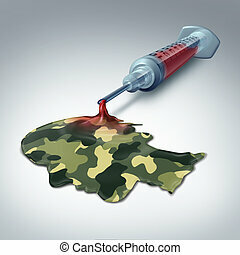 Health care danger and medical risk concept as a hospital syringe dripping blood shaped as a noose knot as a medicine hazard metaphore with 3D illustration elements. 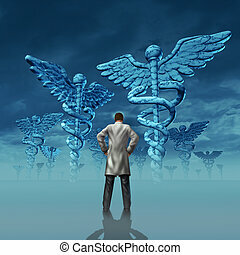 Health care stress and challenges faced by a doctor facing burnout over working at a hospital or medical clinic with a professional practitioner in a lab coat facing giant caduceus symbol sculptures. 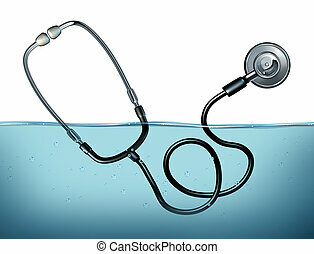 Health care crisis and medical problems as a doctor stethoscope drowning in water as a symbol of the risks and challenges of medicine challenges in managing hospital budgets and patient services. 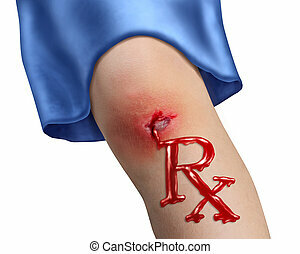 Child Health Care and pediatric medicine medical concept with a human child knee as a physical bleeding injury in the shape of RX pharmacy symbol as an icon of family hospital services on white. 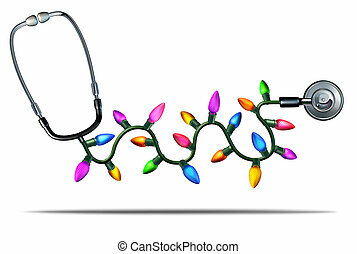 Health care management medical symbol with a doctor stethoscope tangled in a ball of confusion as a concept of medical problems and failure as it pertains to a diagnosis and dealing with human illness. 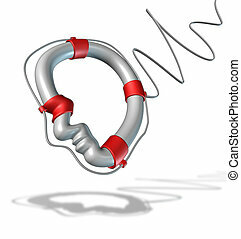 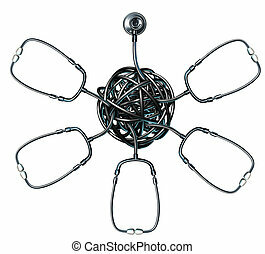 Health Care partnership and medical teamwork to find the cure to disease and manage hospital matters with a group of five doctor stethoscopes converging together in a tangled ball as one strong leader on white. 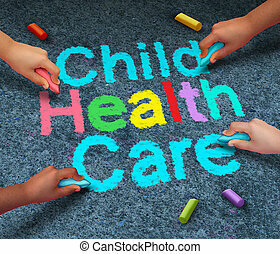 Child health care concept or children healthcare symbol as a group of kids holding chalk drawing text on an outdoor floor as a symbol for an active healthy kid or medical insurance coverage icon. 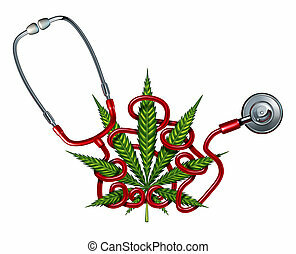 Marijuana Health Care challenges concept as a doctor stethoscope tangled in a cannabis leaf as a crisis metaphor for confusion and uncertainty with alternative therapy as natural herbal drug use and changing medical law. 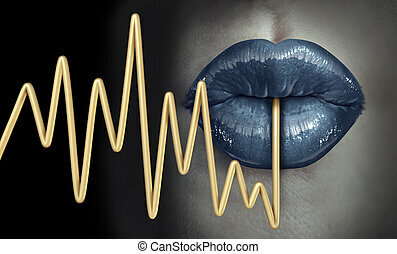 Health care food and healthy living lifestyle concept as a human mouth eating a single strand of spaghetti shaped as an ECG or EKG monitor lifeline as a symbol for medical issues with nutrition and diet. 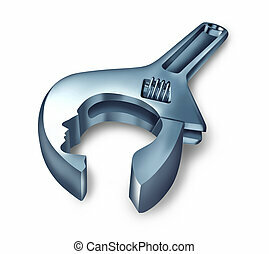 Psychotherapy health care concept with a metal wrench in the shape of a human head as a medicine or medical symbol of brain therapy or neurology surgery representing the study of psychiatry and psychology on a white background.